Like most of our readers, we love a good farmers' market. But there's one thing even better than getting your produce straight from the source, and that's growing it yourself. Don't have a green thumb? Don't worry—Back to the Roots is here to help. Back to the Roots is the brainchild of UC Berkeley grads Alejandro Velez and Nikhil Arora. Several years ago, they came up with a plan to turn waste into fresh food, using the power of fungus. Though at first glance, this doesn't sound like the most palatable of projects, the boys were able to convince their college and get a $5,000 grant for social innovation. With that money, they founded Back to the Roots, a company that recycles used coffee grounds into grow-your-own mushroom kits. Turns out, Back to the Roots grows mighty tasty Mushroom Gardens, with a minimal amount of effort from the "gardener." 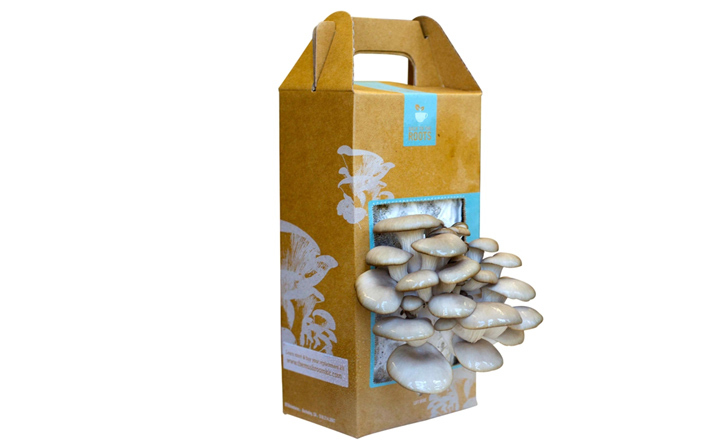 All you need to do is mist the box daily, and fresh, delicious mushrooms will sprout forth. Simple, nutritious, and pretty cool. And don't be nervous about the "urban waste" part of the equation. Back to the Roots is on track in 2012 to recycle over 3 million pounds of coffee grounds from Pete's Coffee. Instead of landing in a landfill, these grounds are used as soil in their distinctive mushroom kits. It's 100% safe, and totally eco-friendly. Want to try your hand at a little urban gardening? You can find Back to the Roots kits at your nearest Whole Foods—or check them out online! 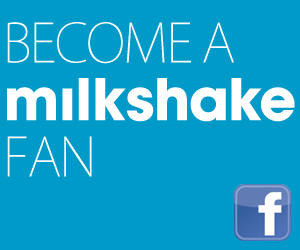 They're offering Milkshake readers a 15% discount off their next purchase with the code MUSHROOMMILKSHAKE. Happy shrooming!